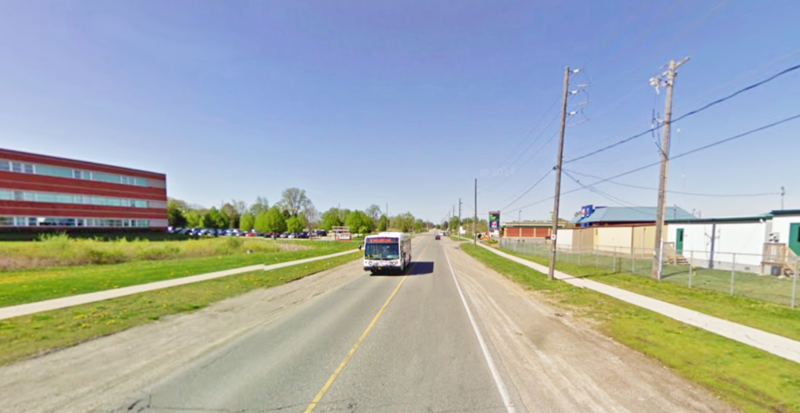 Brantford is a mid-sized city in southeastern Ontario, located along the Grand River. Brantford’s updated 2014 Transportation Master Plan incorporates a Complete Streets policy to accommodate all modes, abilities and users, and to “assist the City in developing a coordinated and integrated transportation system that provides realistic alternative travel options to the auto, thereby creating a City that is truly accessible to all” (p. 44). The TMP also includes a schedule of proposed Active Transportation projects to be undertaken by 2031 (p. 44-47). Brantford’s 2016 Draft Official Plan cites Complete Streets designs as a strategy to be used to design pedestrian-friendly streets (p. 9-2) It also includes a definition for Complete Streets. The reconstruction of Shellard Lane to include pedestrian and cycling infrastructure is one of the nine Complete Streets projects profiled in TCAT’s Complete Streets Transformations. 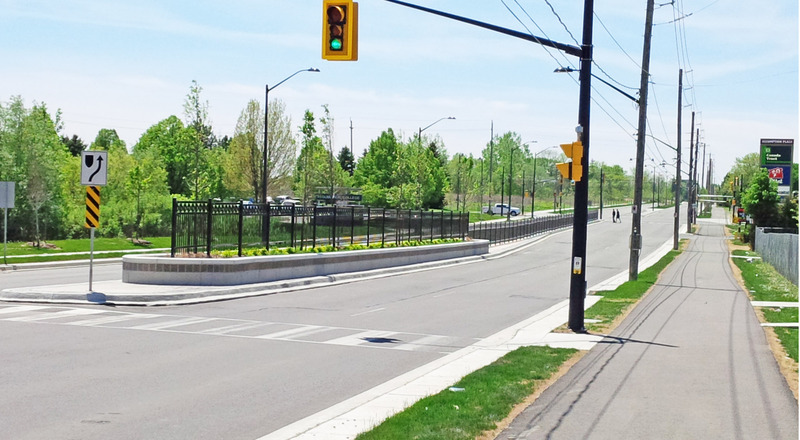 The Shellard Lane conversion is the product of a proactive move to integrate infrastructure for cyclists and pedestrians into the right of way of an existing street that is the backbone of new and continuing residential development. With new users being added to the area and three schools located along the stretch, the need to provide safer and more comfortable travel was a priority. The project cost $7.8 million and took three years to complete (2012-2015), from the launch of the Environmental Assesment to the end of construction. Counts conducted in Sep 2013 and again in Sep 2015 show an increase in the number of cyclists and pedestrians using this route. Vehicle traffic collision data from 2008 to 2013 recorded an average of 10 collisions per year. In 2015, the year construction was completed, there were 11 collisions. Future collision data will need to be analyzed to provide a clearer picture of the long term safety impact of the street design.